Seriously? OMG! WTF?Empire Archives - Seriously? OMG! WTF? Last week on Empire, Lucious Lyon (Terrence Howard) found out his older son with Cookie (Taraji P. Hensen) has cancer, and tonight at 8p on Fox, all of the Lyons come together for Andre (Trai Byers). Whether he wants them there or not. This not the first time that Andre’s life was in danger and his parents did everything they could to save him. Now that he is grown up, they want to do the same. Although this time they are trying to save two other things, their marriage and Empire Records. There is fallout from Cookie catching their biggest new artist Treasure (Katlynn Simone) on her husband’s lap and her running to another man as revenge. Yet, they do not have time to deal with it because they need to do everything they can to make sure Dre is going to live. There is only one thing stopping them from doing that is Andre’s girlfriend, Teri (Meta Golding). Who is going to win that fight, his mother or his lover? What about his two brothers? They decide to go back on tour, but their big brother is always on their mind. They even sing a duet in honor of him. Back to Treasure, what happens when she and Cookie come face to face? I said too much with this one. Then at the end of the episode, The Lyons get a health update on Andrew. Is he the one in the coffin that the show has been teasing us with all season? Find out tonight. Gee, I wonder which Lyon is going to end up in the coffin on Empire? 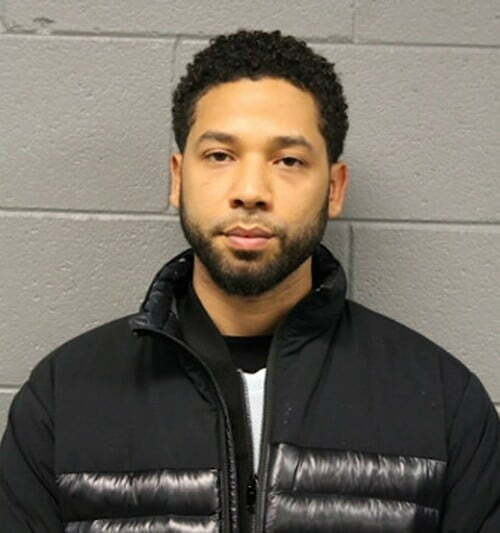 A day after Jussie Smollett turned himself in to police after being charged with falsifying a police report, Fox announced that he will not be in the last 2 episodes of Empire for season 5. Why just the last two episodes? The other 16 have already been filmed. How they will handle in his character in the 7 episodes that have not aired but have been shot, we do not know yet. With production almost wrapped, it will be very expensive to edit him out and reshoot scenes to fill time. Although, it might be a smart move on their part. Empire will be back on Fox with new episodes on March 13th, so technically they can do it. But, it is a lot of expensive work. Where is a broom when Cookie really needs it? The ironic thing is that the reported motive for the attack was because he was “dissatisfied with his salary.” Now, he will not be getting one at all. Is Jussie Smollett being written off of Empire? Right now Jussie Smollett is persona non grata, and that leaves Fox in a lurch. What do they do with his character on Empire? Right not they are in production on the second to last episode of the season and they were expecting Jamal Lyon to be a big part of it. Not anymore according to TMZ. They say he was supposed to be in nine scenes with a musical number, but now he is down to four. Depending what happens next in his case, as in did he stage his attack, he might be completely written out. The site says his scenes are scheduled to be shot at the end of the week. That means they have a few days to make that decision if they have to. Which means the rumor of him being written off the show was a possible motive might become true even though it was not at that time. While it is easier to change things in the last two episodes because they have not been filmed, it will be harder to edit him of the seven episodes that have not aired and have already been filmed. If that is what they choose to do. It will be interesting to see what they will do next if he is in fact arrested for faking what he said was a hate crime. All they can do is take it one day at a time.